Indulge this dog owner one more time this week with a post about his pet pitbull. 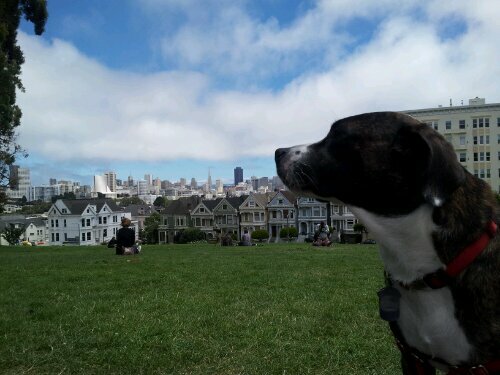 Max and I went to explore the San Francisco landmarks recently and he had a great time taking photos in front of the landmarks. Ok maybe I was the one having a great time taking the photos, but can you blame a dog owner for loving his beast?